Who doesn't love pizza? And who doesn't love to debate where you can find the best slice! Whether you like deep dish, thin crust, NYC style or sicilian; plain cheese or loaded with toppings; a quick slice or enough pies for a party -- there are numerous pizza places to choose from in Albany and the Capital Region. From restaurants with italian favorites to pizzerias that focus on fast delivery, you can fulfill your pizza cravings at one of Albany's many pizza places below. Stop in to Jonathan's for a delicious bite of homemade pizza just outside Schenectady in the Capital Region! 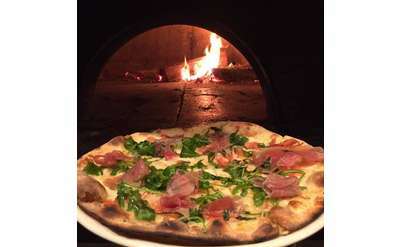 Enjoy Neapolitan style pizza cooked to perfection in the wood-fired oven at Bacchus Wood Fired Pizza just outside of Albany in Troy! I Love Pizza of Troy serves creatively topped pies, classic slices, wings, and subs. Looking for Albany pizza shops? 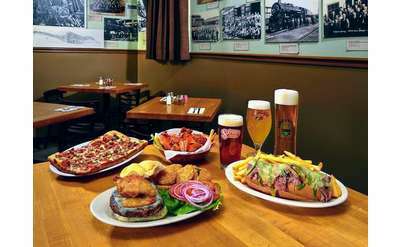 Famous since 1973, enjoy delicious pizza, wings, beer and more at Jonathan's Pizza in Albany NY - a pizzeria in the heart of the Capital District..